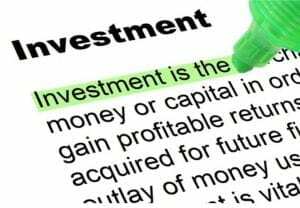 Strategic real estate investing can pay off in the long-run, and commercial investments are great options to add to your financial portfolio. Here are five steps to get you started with a commercial investment. Start a Budget: having a solid budget is the only way to ensure that you maintain a balance between your income and your expenses. It is important to know where you are spending money, what money is coming in and helps to prepare you for bigger expenses that could come up in the future. Have an Investment Plan: not having a plan, or clear investment goals is a common mistake. Don’t be unrealistic. Know what you want to purchase, and what returns you are aiming for. Every investment you make, should help stay in the game – not take you out. Do Your Homework: trends change and change often, so it is important to stay in touch with what is happening in the industry. Do your homework by following the latest trends and research the areas you are looking to invest in. Know the Risks: getting comfortable with risk is something all investors face at some point, however getting clear about how much risk and what type of risk you are willing to take will help you determine the perfect strategy for commercial investing. Be patience and focused: there is no room for emotions in a commercial investment, and if you get emotional, it could impact the decision you make. Remember, that an investment should be a rational decision and not one based on emotion. For more than forty years, Knipp Contracting has been helping investors like you maximize their property values, while creating a beautiful space that you can enjoy for years to come.